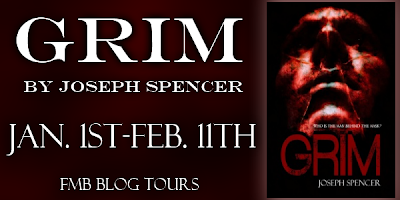 Paranormal Romance and More: Guest Post & Excerpt by Joseph Spencer, author of Grim! 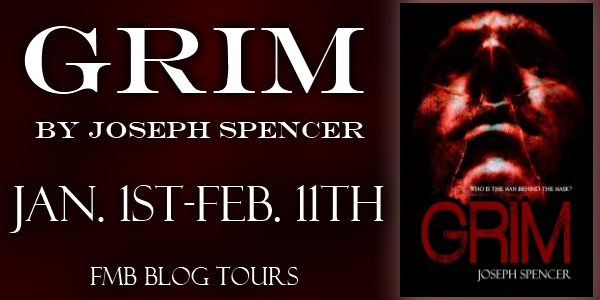 Guest Post & Excerpt by Joseph Spencer, author of Grim! 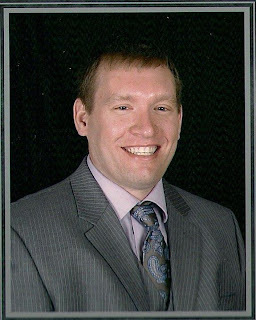 Joseph Spencer began writing non-fiction for regional daily newspapers in Peoria, Il., Burlington, Iowa, and Grand Junction, Colo., shortly after graduating from Southern Illinois University-Carbondale in 2000. After an award-winning ten-year career as a print journalist, he switched careers to work in public safety at a 9-1-1 emergency dispatch center in Peoria, Il. He missed writing four years ago when he switched professions and began developing and writing his first fiction project, his debut novel Grim, released by Damnation Books in Sept. 2012. Grim is the first book in the planned Sons of Darkness series of paranormal crime thrillers set in the corrupt fictional town of Prairieville. His sequel, Wrage, is finished and moving to editing stage with a planned release in late 2013. My stories attempt to blur the line between crime fiction, horror and paranormal genres. 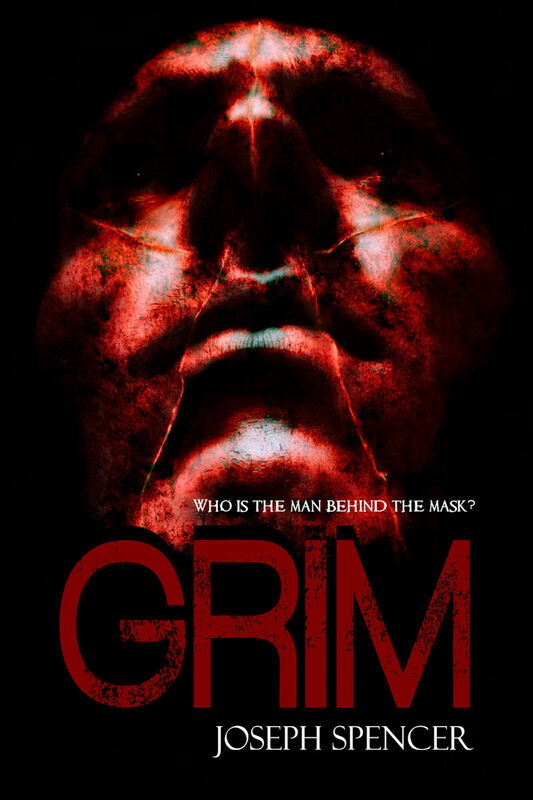 In Grim, the title character Heath Grim is written with more of a suspenseful horror slant. He’s possessed by a supernatural entity bent on hunting down and executing killers for their crimes against the souls of innocent victims stuck in spiritual limbo. The detective character Adam White is written with a traditional crime angle. He’s a paragon of justice in a town which is rotten to its core. He battles an organized crime boss who uses a casino as a front to launder his dirty money, corrupt politicians and the guilt he feels for being unable to solve his wife’s murder. Grim and White soon find out they’ve got more in common than they could’ve imagined. As White investigates a series of murders leading him to Grim, he’s got to choose between his humanity and his obsession for avenging his wife. Grim, who has made his choice long ago, forces White into an ultimatum which will change his life forever. People often ask me about my inspiration for my work. I write dark and gory fiction because I assist emergency responders every day in my public safety job which exposes me to an up close and personal look at the criminal element. I try to make the personalities of my police characters similar to officers I work with on a daily basis. I believe the choices people make have a tremendous impact and often shape their lives. When I write a story, I try to reflect my belief. I present characters with a choice in how they’ll react to a situation, and their decision sets in motion a chain reaction of events which dramatically alters them and their environment. Grim will always hold a special place in my heart because I wrote it with no expectation. It started as a challenge. I’d always told myself I’d write a novel some day, but kept putting it off. I worked extremely hard, a couple pages a day, for a few years in the writing and publishing process and made it happen. Damnation Books accepted the manuscript the day after I got married in March of 2012. I’ll never forget the feeling. I’d encourage anyone with a story in their heart to hammer away at their keyboard. The creative process provides a thrill you can’t simulate doing anything else. When everything is taken from him, Detective Adam White must choose what's most important. Does he stick to the heroic ideals which made him a famed paragon of justice and take down a murderous madman? Or does he give in to his vigilante impulses, avenge his wife's murder, and become the type of killer he's hunted for so many years? Enter below for a chance to win a eBook copy of Grim!